It was all go at the stadium today with all the age group teams preparing for the upcoming Tri-Series tournament in Christchurch. Big thanks to Francios & Paul for coming down and supporting the teams! Click on the photo above to go to the Nippers Cup 2017 album. Feel free to add your own photos! Download our latest newsletter below! 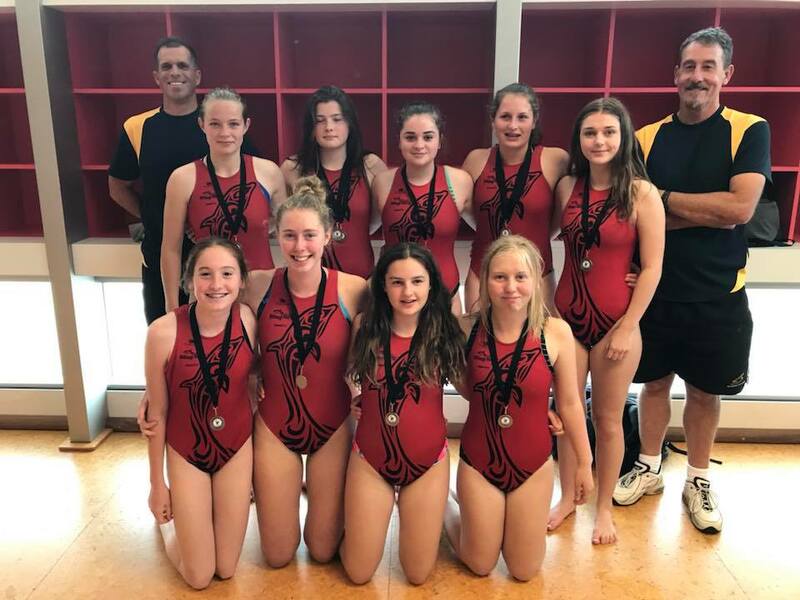 Well done to our MGC Junior team who placed 2nd at the Junior South Island Secondary Schools tournament earlier this term. Big ups to Georgia Reed and Louise Brown who were also named in the tournament team. 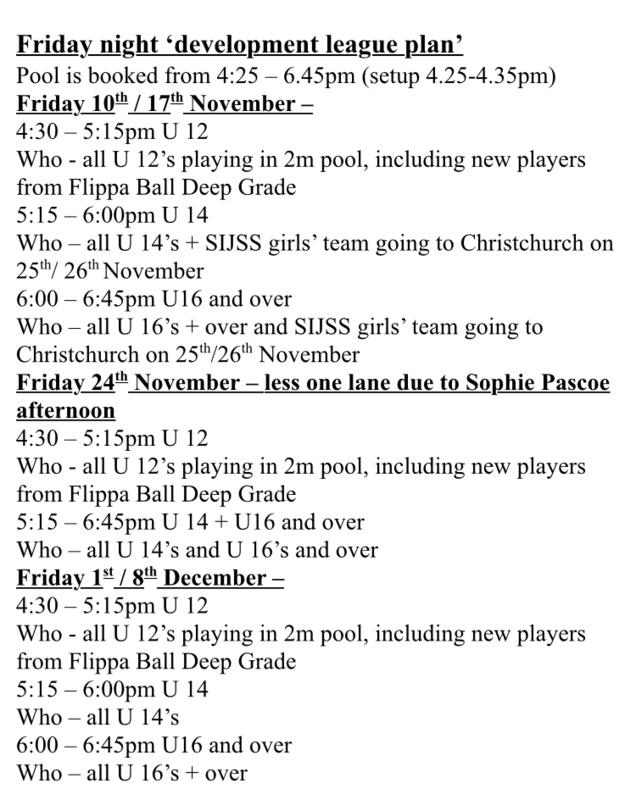 Pool entry for all waterpolo and flippa ball families is free and the outdoor pool will be open till 9pm. There is a $2 sausage sizzle to raise funds for our Marlborough Water Polo Club. Be great to see as many parents, siblings and grandparents there as possible and we have all the finals including adult open grade which makes for super awesome watching. Here is the updated draw for Friday nights. 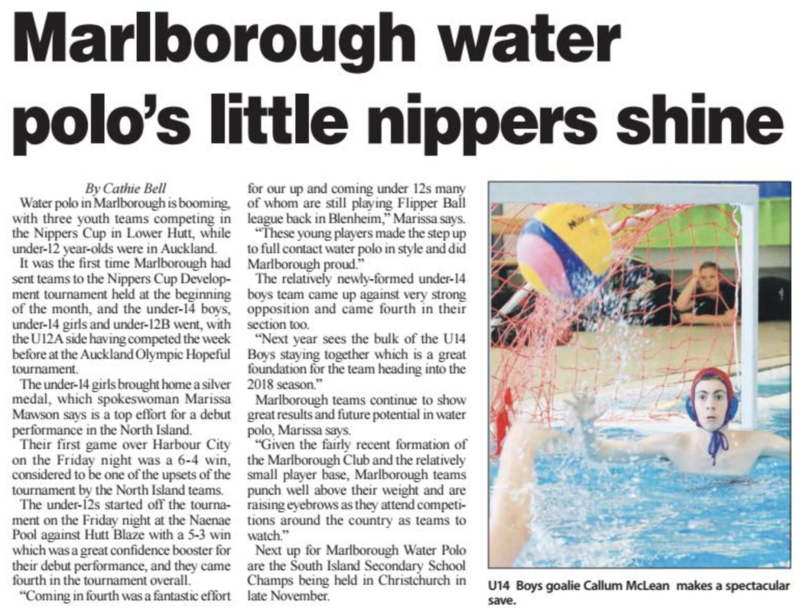 Here is the great article published in the Blenheim Sun today about Nippers Cup.